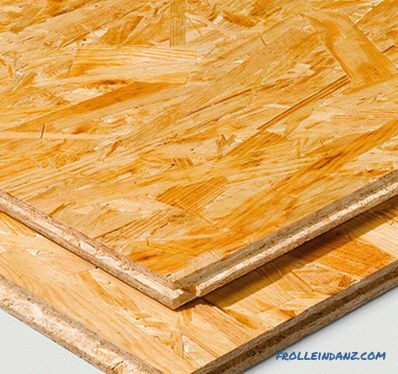 Plywood and OSB (OSB, OSB) - two materials with similar characteristics and used in similar situations. However, there are differences between them, which in some cases may be important. To choose the most suitable material and not to make an annoying mistake, you should understand their parameters and features that determine the answer to the question of what is better, plywood or RSD for a particular application. OSB and plywood are twin brothers? The main difference between these materials is that plywood is made from several layers of veneer, and for OSB production wood chips are used - actually wood waste. Accordingly, their appearance is different. Plywood has a flat surface with a natural wood structure, and OSB is similar to compacted scattering of chips and large shavings. The name OSB is an abbreviation of the words Oriented Strand Boards, which means Oriented Strand Boards. OSB is the abbreviation of the Russian translation, and OSB is the transliteration of the English-language name. Otherwise, these plates are very similar. Chips in OSB are located in three layers, in each of which it is oriented perpendicular to adjacent layers. The veneer structure in the adjacent layers of plywood is also located at right angles to each other. The bending strength of both materials depends on the direction of bending — along or across the structure of the outer layers. 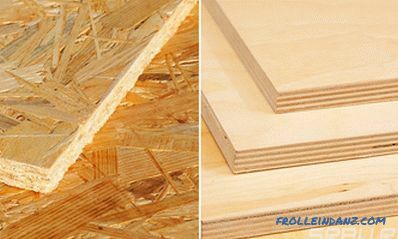 For bonding plywood and for forming OSB are used the same binder - urea and phenolic resins. Differences in the initial materials and technologies of plate formation give a discrepancy not only in appearance but also in technical characteristics, and these differences can determine the answer to the question, which is better, OSB or plywood for each specific case. Given that there are several OSB and plywood brands that differ in their parameters, we will use OSB-3 and FC and PFM plywood for a correct comparison, since these versions of materials are most often used for various goals. For correct use of regulatory data, plates up to 30 mm are involved in comparison. Speaking about the strength of sheet and plate materials, they usually mean bending strength. Strength is the maximum bending stress that does not lead to the destruction of the material. 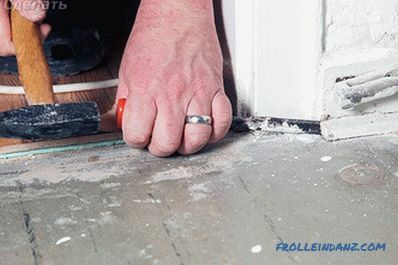 Another important aspect of strength is the resistance to delamination, which is determined differently for different materials, but has the same practical meaning. According to GOST R 56309-2014, the standard bending strength along the main axis for OSB-3 varies from 16 to 22 MPa depending on the sheet thickness. In the transverse direction, the strength is two times lower. Technical parameters of plywood are determined by GOST 3916. 1-96. In accordance with it, the strength of plywood for bending along the fibers of the outer layers is 25-60 MPa, depending on the type of wood used and the plywood brand. That is, the strength comparison is clearly in favor of plywood. This is not surprising. The natural structure of wood stored in veneer holds tensile loads much better than agglomerate from wood chips and binder. Plywood has 2-4 times higher bending strength than OSB. There are many different methods for determining the moisture resistance of materials, and they use different control parameters. In order for our comparison to be correct, we choose the data obtained with the same test method, recorded in GOST No. R 56309-2014 and 3916. 1-96. This is a test method for boiling a test sample. After boiling, the strength of OSB-3 on bending decreases to 6-9 MPa, that is, approximately twice as compared to the initial one. 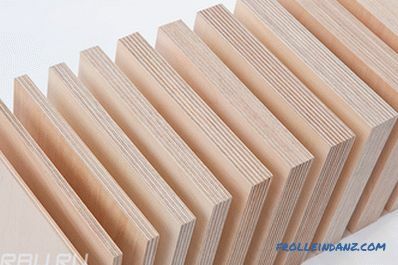 The strength of plywood bending with this effect varies little and is not standardized due to the fact that even intensive wetting with subsequent drying practically does not affect the strength of wood fibers, and it is this that determines the strength of the laminated veneer board. Humidity has the greatest effect on the resistance of plates to delamination. 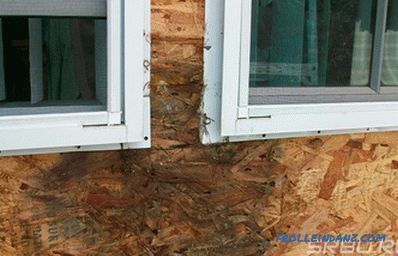 It is the weakening of the bonds between the woody parts of the material that is the main reason for reducing the flexural strength of the OSB. The tensile strength in the direction perpendicular to the slab plane for OSB and for plywood is measured differently, but the same dimensionality of the results makes it possible to compare them. The strength of plywood for chipping on the adhesive layer after boiling is 0.6-1.5 MPa, and the OSP-3 tensile strength in the direction across the face is 0.06-0.15 MPa. Here, as you can see, the strength is different in order. Plywood has a higher moisture resistance than OSB due to the fact that in each of its layers a single wood structure is preserved, not fragmented, as in the case of a chip plate . The weight of the plates is determined by their dimensions and density. It makes sense to compare the density of the material. This indicator may vary from different manufacturers. It changes when humidity fluctuates, including when the season changes. Most OSB boards have a density of about 650 kg / m 3 . And the thinnest sheets have the greatest density. According to GOST, they have the highest relative bending strength. For plates 18-20 mm thick, the density decreases to 635 kg / m 3 . Plywood has a density of 670 - 680 kg / m 3 . Some varieties, usually of birch veneer, reach 750 kg / m 3 . They differ also in the highest durability. Plywood is somewhat heavier than GSP, but for most applications, this difference is not significant. And given the higher strength of plywood, the weight of the structures of it may be even less due to the use of thinner sheets. However, the answer to the question of what is better, OSB or plywood, can be given only taking into account other qualities, including the cost of materials. Being faced with a choice of plywood or OSB, which is better for the floor, for the base of the roof or for the frame of the frame, it is important to consider the price of materials. In terms of cost, OSB significantly benefits compared to plywood. It's pretty easy to figure out if you compare the price of sheets of the same thickness and bring it to one square meter. 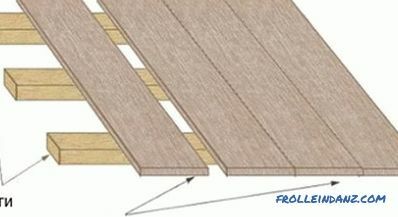 To avoid confusion, it is better to immediately divide the plywood by type (FC or PSF) and by grade. FC 3-4 grades are more expensive than OSB 1.1-1.3 times. FSF, 3-4 grades are 1.6-2 times more expensive. Higher grades of plywood are 2-3 times more expensive than OSB-3. The technology of using plywood and OSB is almost the same. Sheets are cut out on special machines or hand tools. The processing of the ends of the parts is also very similar. But OSB gives more flakes when cutting with an electric jigsaw or a non-specialized circular saw. Therefore, to obtain a smooth edge requires a deeper polishing of the ends. The complexity of the processing of a layer depends on the type of plate and the requirements for the surface. First-class sanded plywood does not require processing. OSB does not provide such an opportunity. Therefore, plywood should be considered a more technological material. 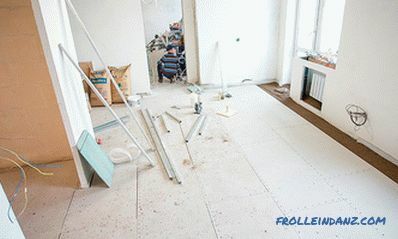 The ability to hold fasteners, these materials are equally good. form large quantities of flue gases with high temperatures. There are no differences between the fire hazard class between them. 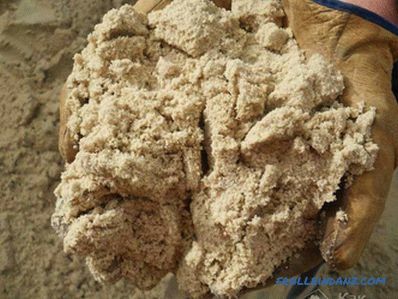 Questions on the environmental performance of these materials arise in connection with the use of urea-formaldehyde resins for their production. These resins serve as a binder, but they are also a permanent source of volatile formaldehyde, harmful to humans. According to the degree of danger these plates are divided into classes (emission classes). Materials of class E2 and above are used only for technical purposes, outside residential premises. Class E1 is allowed for residential, children's and medical institutions. Most of the wood composites used today belong to class E1. The current GOST standards have one difference between OSB and plywood. Class E0.5 is provided for the chipboard, and only E1 for plywood. Although this does not mean that there is no E0.5 or even E0 plywood in the world. Modern environmental requirements have equalized plywood and OSB, and made them equally safe. Both plywood and RSD may have different sizes and thicknesses. OSB can have a thickness of from 6 to 40 mm with a pitch of 1, and plywood - from 3 to 30 mm with a pitch of 1-1.5 for thin sheets, and with a pitch of 3, starting with a thickness of 9 mm. The standard OSB dimensions are 1220x2400 or 1250x2500 mm. In GOST, a minimum size of 1200 mm is defined. The maximum depends on the capabilities of the production equipment. 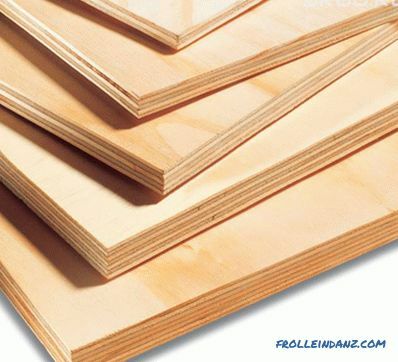 Plywood is made in formats 1220x2440 and 1525x1525 mm. The actual range available on the market differs from the production standards. So, OSB is most often sold in thicknesses of 6.9, 12, 15 and 18 mm. Often, trade organizations tailor standard sheets for two or four parts of the convenience of retail customers. 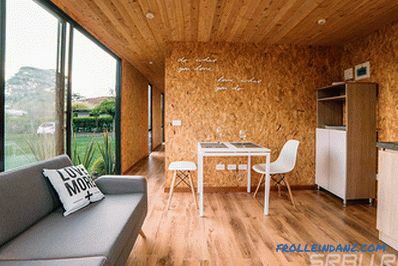 Comparing the appearance of materials, deciding what is best, OSB or plywood on the floor, on the wall covering or for furniture, there are several factors to consider. At first glance, plywood seems more aesthetic than OSB. But in fact, it is very many-sided. Its appearance is determined by the veneer rock of the outer layers and its quality. Low-grade technical plywood can hardly be used for interior decoration or for facade furniture parts.She has many knots and other defects. 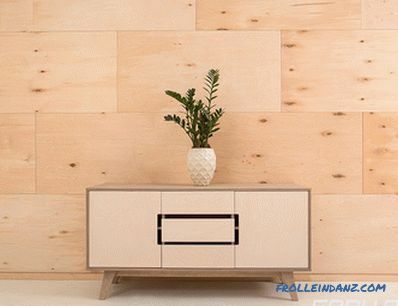 For furniture and decoration works, 1-2 plywood varieties are used, on the surface of which there are very few or no defects. By the aesthetic qualities of such material is not inferior to the tree-array. 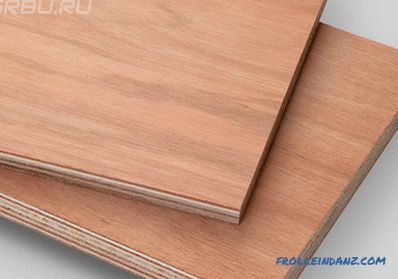 Plywood of lower grades in its pure form is unsuitable for finishing, except for its use in non-standard design solutions. OSB can also be used in non-standard finishing. With the help of special treatment, its surface structure can be turned into a nice decoration. But still, particle board is more appropriate as a structural or underlying material that does not come across. OSB and plywood are very similar in physical and technical qualities and have deeply intersecting applications. 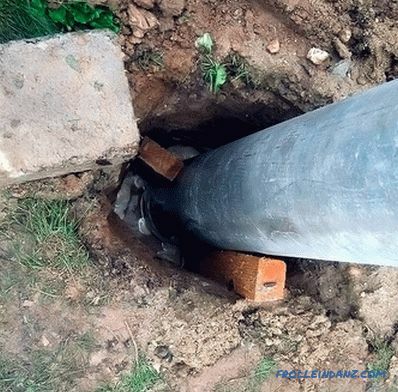 Knowledge of the features of these materials will help to optimize the choice and achieve the best combination of durability, reliability, safety and economy of structures.